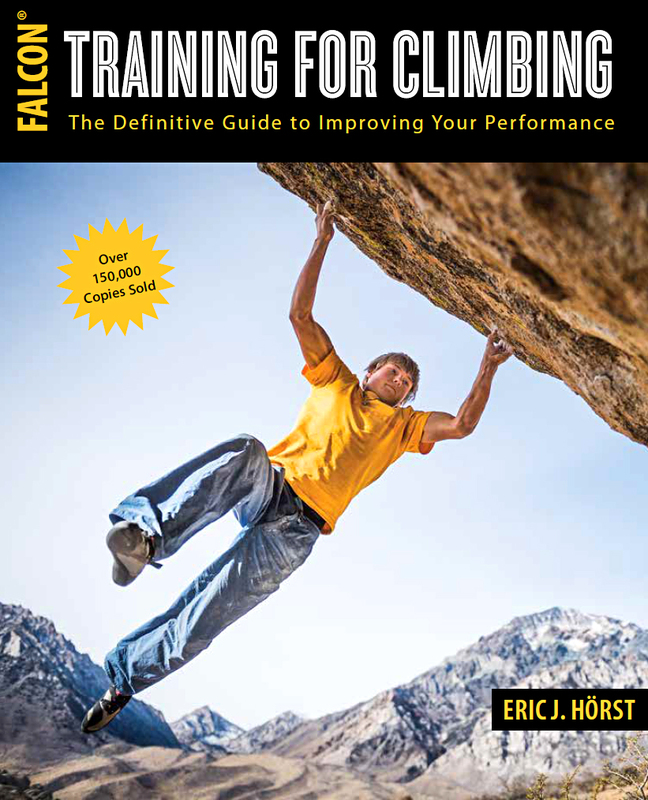 Training for Climbing - the best-selling book by Eric Hörst. The best-selling book on training for climbing—over 160,000 copies sold worldwide! This third edition of Training for Climbing builds on the international best-selling first (2002) and second (2008) editions of this breakthrough text. Eric Hörst continues his tradition of melding leading-edge sport science and his forty years of climbing and coaching experience to create a unique and compelling book packed with practical how-to and what-to-do information. Drawing on the latest climbing research, this third edition of Training for Climbing presents a comprehensive, evidence-based program for improving climbing performance. With the unique perspective of a veteran climber, researcher, and coach, Eric Hörst blends leading-edge sport science with his decades of climbing and coaching experience to create a content-rich text packed with practical how-to and what-to-do information. Energy system training to develop greater strength, power-endurance, and aerobic endurance—invaluable for nuancing advanced- and elite-level training programs for maximum effectiveness. “Training zones” for rock climbers—the secret to truly effective training of the crucial forearm flexor muscles. Five new hangboard training protocols for developing maximum strength and strength-endurance in the finger flexors. Power-endurance training protocols for increasing anaerobic capacity (critical for steep, powerful boulders and routes). How to execute and nuance submaximal (volume) climbing to strengthen the local (forearm) aerobic energy system. How to execute a proper training taper to create a peaking effect for a project redpoint day, roadtrip, or competition. Recalibrating the brain’s central governor for higher power output, increased stamina, and pushing your body to a new performance extreme. Daily Undulating Periodization as a novel method of on-season programming (i.e. how to schedule weekday workouts to help, not hurt, performance when you’re climbing hard on the weekends). Does running (and other generalized aerobic training) enhance climbing performance…and, if so, how much aerobic activity is beneficial? How to accelerate recovery on-route, between climbings, and in between training/climbing days. Comprehensive core training—how to build total core strength (not just strong abs)! Stabilizer training to reduce risk of shoulder injury and improve your climbing power. How to accelerate learning of climbing skills—learn the rules for truly effective practice and developing excellent technique. How to control your mind and emotions in stressful situations—learn how to improve focus, manage fear, overcome adversity, and stretch your limits! This third edition of Training for Climbing includes expanded chapters on developing strength, power, and endurance in the crucial finger flexor and pulling muscles, as well as a must-read chapter on developing exceptional core strength. Hörst completes his coaching with dedicated chapters on technique and mental training, performance nutrition, accelerating recovery, and injury prevention. The book’s 352 pages of expert instruction make for the most advanced and complete book of its type! Let Hörst’s passion for climbing, research, training, and his exploration of the boundaries of personal performance help you achieve your personal best! All book orders are filled from our sister site PhysiVantage.com — Click here to buy!